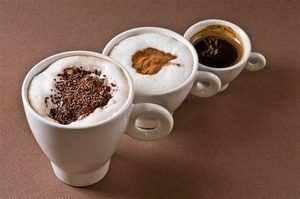 When it comes to coffee everyone has a different opinion on what they consider the best. After 10 years of listening to thousands of guests sharing their views on what they rate as the perfect coffee and where to get Margaret Rivers best coffee, it would be a mistake not to rate what we think makes the perfect cup, and of course we might be a little biased and say you can’t beat the coffee served by Pete at breakfast. 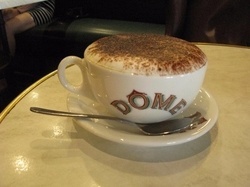 So, in no particular order below is what we consider the must do places coffee lovers should visit. When your catch phrase is “life’s too short for bad coffee” you know you’re on a winner. 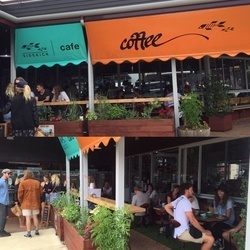 Just a short 5 minute walk from the guest house will have you standing out the front of this popular local coffee shop. 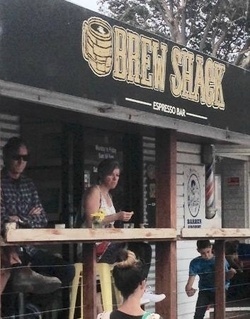 Margaret River’s hot new main street espresso bar and it’s just a 2 minute walk from the guest house. Personalise your coffee drink of choice, pour-over, cold-drip or espresso made from Duke’s freshly roasted single origin coffee beans. It’s all about carefully blending great coffee with creativity and fun in a sharing mindful environment. Sidekick café will stimulate your senses, so why not drop in during your stay and check them out. Another oldie but a goodie. A great place to sit back and people watch in the main street. Just a short stroll from the guest house will have you sitting down and enjoying a great cup of coffee. If your looking for that late afternoon fix then this is the place to be. 2 kilometres south of Margaret River or a short 5 minute drive from the guest house, you will find Yahava KoffeeWorks . Boasting only the finest coffee beans from around the world, be prepared to enter a grown-up’s playground where the theme is all about “Coffee”. 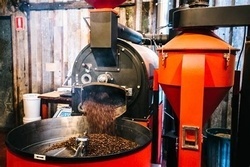 As you enter you will be surrounded by the most amazing sights and smells, roasting and blending their own coffee beans on site.Try not to be mesmerised as you watch the beans going around and around. Not sure which coffee to buy? Then why not have a chat to one of the experienced coffee makers and take advantage of the free tastings before sitting back in the onsite café. What’s not to love about this coffee lover’s heaven? Ok, sometimes it’s not just the coffee that makes for that “Wow” factor. The White Elephant Café is located a 12 minute drive from the guest house and located at the Gnarabup Beach Boat ramp, in Prevelly. Enjoy your coffee perched on the side of the hill looking out over the Indian Ocean. They also serve a tasty lunch menu. You may even be lucky enough to see whales or dolphins. Just love this picture taken by MR Discovery tours.